Milk: it’s an essential source of calcium. But where milk was once a staple in the American diet, other beverages have gained market share. So how essential is milk to your patrons and your New York City employees? The answer isn’t simple. Milk products have diversified a lot over the years. Total milk sales have lost market share in the beverage category every year for the past four consecutive years, according to the Beverage Marketing Corp., the New York City-based research firm. But that’s largely because the beverage market has expanded to include several categories that didn’t exist a few decades ago, such as energy drinks, sports drinks, ready-to-drink teas and value-added water. As the beverage market has expanded in New York City, the milk segment has also expanded and created some niche categories of its own. So the bigger story is the diversification of milk. While still an important nourishment, milk has also become a refreshment. Flavored milk, which has become a favorite, is both a refreshment and a nutrient. The flavored milk segment continues to grow. Trends are also showing renewed interest in whole-milk products, which also saw unit sales increase in the last year. • Refrigerated flavored milk/eggnog/buttermilk ($1.4 billion, unit sales up 6.5%) This segment was a real beacon of light for the milk category. The segment’s dollar sales increased 6% on the unit sales increase. Innovations in milk packaging have created growth opportunities, particularly the availability of shelf-stable products. This and other developments – such as the increased variety of national name brand milk products – support what many see as the rising importance of milk as a both a refreshment and a nutritional product. Refreshment service operators have begun to recognize they need to offer more nutritional products as the public has increasingly scrutinized product offerings from all foodservice channels. Many operators recognize milk’s importance as a healthy offering. The USDA beverage standards for K-12 schools includes unflavored, low-fat milk and flavored or unflavored, fat-free milk and nutritionally-equivalent milk alternatives. 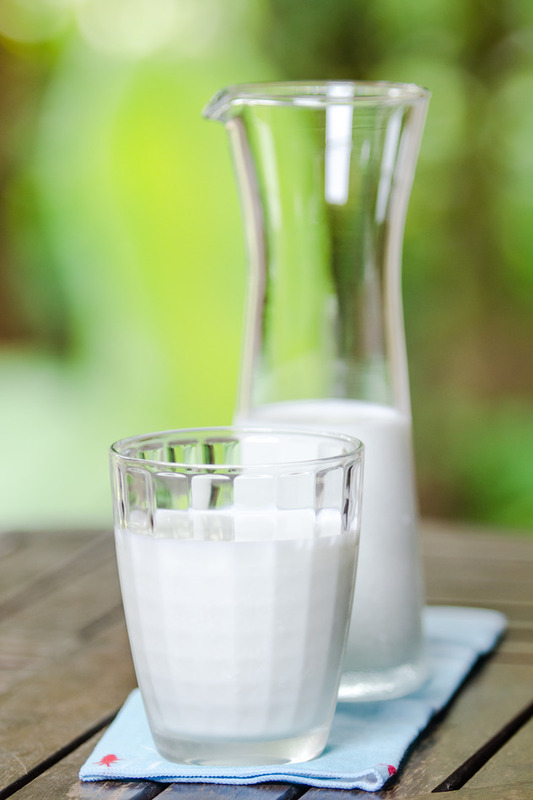 Many nutritionists say flavored milk is a good alternative to soda, even if it contains more sugar than whole milk. Some nutritionists are concerned about the high sugar and saturated fat content in some of the flavored varieties, especially since many come in 14- and 16-ounce bottles and are likely to be consumed in one sitting. While nutritionists are not in agreement on the nutritional benefits of some types of flavored milk, consumers should realize there is a tradeoff between having high sugar and saturated fat content along with the calcium content. The underlying point is that milk remains an important source of calcium, and milk products have diversified to meet different consumer needs. Milk remains an important staple in consumer diets – serving as a source of nutrients and as a refreshment in New York City. For more information about healthy snack and beverage options in New York City contact your refreshment services provider Healthy Vending at (917) 572.3671 to discuss your customized break room solution.